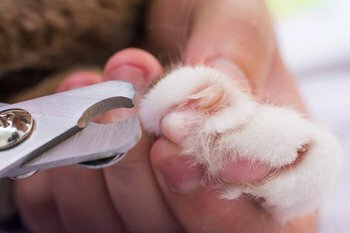 Nail clipping is not just for humans, it’s for cats too and here we will look into the best cat nail clippers for your furry friends. Here’s everything you need to know about keeping your cat’s nails within reasonable length. If you are reading this, you are probably one of those cat owners who want to clip their feline’s nails personally. Trimming cat nails is one of the services you can avail at a pet shop but it is not too difficult to do by yourself. Of course, you need to prepare yourself for a fussy cat. Just a word of advice for cat owners –it would be better to start trimming cat nails at a young age. This way, your pet will get used to the process and will consider it as part of their daily routine. While some cats will just sit on your lap and allow you to trim their nails, there are felines which will require a firmer hand. If necessary, you can restrain a cat to trim its nails properly. To keep cats in a secured position while on your lap, use your forearms to hold your feline’s neck and hind in place. Since cats have retractable claws, gently squeeze each toe to bring out the nail. Your guide in trimming cat nails is to look out for the pink stripe at the base of kitty’s nail. Cut at about two millimeters into this pink area. 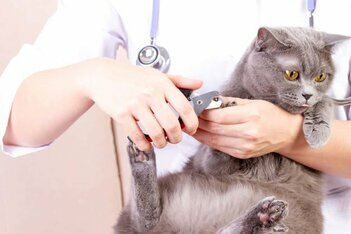 Be careful not to cut into it since it could be painful for your cat and it will lead to bleeding. When this happens, use a styptic pencil with silver nitrate. If you do not have this item on hand, you can just let the nail bleed as it will eventually stop in less than five minutes. Rather than dealing with an injured cat, it would be better to be careful on how you cut the nail. When cutting off the nail, place the clipper perpendicular to the nail. This is the best position to get a clean cut and to avoid splinters. Once you are done, you can use a nail file on kitty’s claws. So you want your kitty’s nails to be trimmed regularly. Why not do it yourself? With the right tools, you can help your cat maintain its claws. Yes, cat nail clippers come in different forms. You have the standard clipper similar to what humans use to cut their nails. Then there’s the guillotine type and the scissor type. Of these three, the human clipper and the guillotine are highly recommended since using them is easy. Meanwhile, if you have a cat with long claws, the scissor type would be the better pick. Keep in mind that you need to be comfortable about using the clipper. After all, you need to trim your cat’s claws on a regular basis. 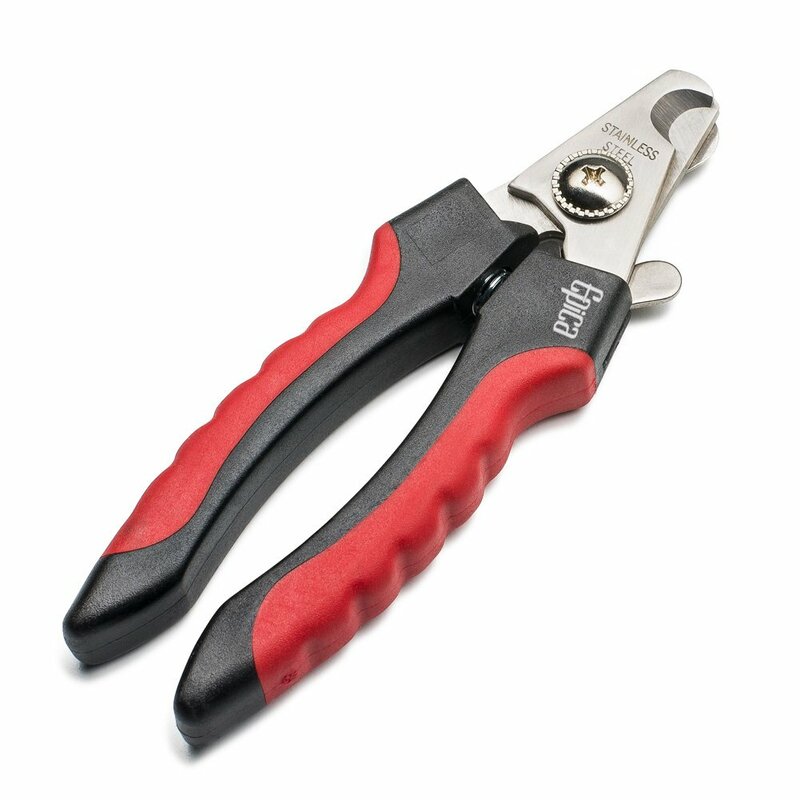 When it comes to nail clippers, you should not just focus on the ease of a certain clipper. You also need to make sure the tool will last for a long time. Instead of choosing the cheapest one you can find, invest some money in a more expensive but more durable tool. If you want a clipper that doesn’t require a lot of maintenance, stay away from the guillotine clipper. The blades dull often and you need to switch blades often. Choosing a clipper with a stainless steel blade is ideal. 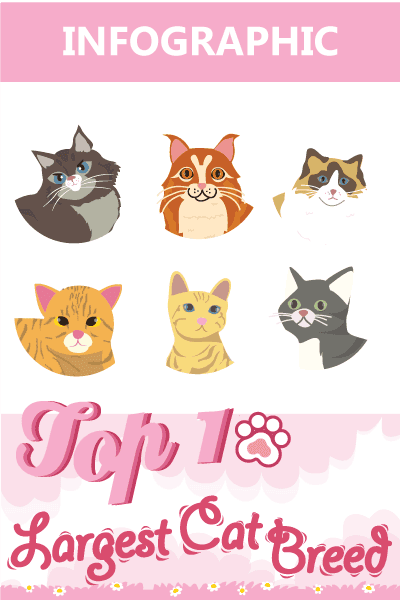 Aside from the materials, you can also ask other cat owners which brand is more durable. This is particularly true if it is the first time you are going to buy a nail clipper for your car. A cat nail clipper needs to fit comfortably in your hand. So, the size is a big deal when you are shopping for this tool. If your hands are small, scissor clippers might not be a good idea. It would be better to choose either the guillotine or the human nail clipper. Clippers similar to what you are using are convenient although it is not recommended for cats with thick or large nails. Safety is the most important factor in this list. You are trimming your cat’s nails for grooming and to reduce accidents caused by scratching. However, you also need to make sure that you are putting kitty’s safety in your mind. Always make sure you are using a safe tool to cut your cat’s nails. The right tool is safe for you and your cat. Now that you know the basics in choosing a nail clipper for your felines, it’s time to look into your choices. Here are some of our top picks when it comes to nail clippers. Take note that some of these tools can also be used for dogs and other pets. This nail clipper is just the right choice for those who are into precise cutting. Aside from that, this comes with a lifetime guarantee so you do not have to doubt the manufacturer’s trust in its own product. Coming from a popular brand, there are a lot of pet owners who recommend this brand. This clipper is also popular for its long-lasting sharpness. The handle is made from rubber for improved grip. Comes with a sliding guide. Better than most scissor clippers. Made with a sharp blade. Broke after being used for a few times. Some pet owners did not like using the tool. Made from stainless steel, this tool also comes with a safety feature to prevent injury. The candles are coated with rubber so it’s easier to grip the handles. Since this tool can also be used for trimming dog nails, it doesn’t mean it is not useful for cats. When you are planning to get this clipper for your cat, choose the small size. Easier to use compared to other tools. Product is also used in vet clinics. Some people had issues using this nail clipper. Finding the right angle is hard for some people. There were people who injured themselves while using this. 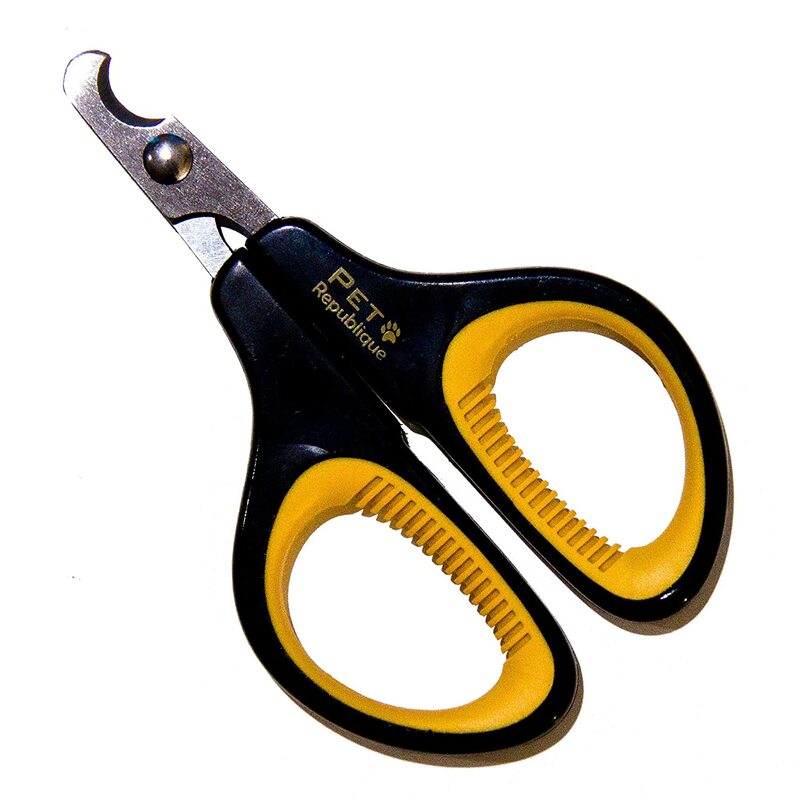 Pet owners who are interested in using scissor should go for a tool with a rounded end similar to this product by Pet Magasin. The rounded tips will prevent you from injuring your pet. The handles are cushioned so you will not have a difficult time while cutting your pet’s nails. In addition to its features, this is also backed by a two year warranty and there’s also a money back guarantee. Can be used on different pets. Handles are too small for some. Complaints on the long shear. Some customers received scissors with different quality. If you are looking for a precise and clean cut, this is one of the pet clippers to get. This is easy to use and you can cut through easily. 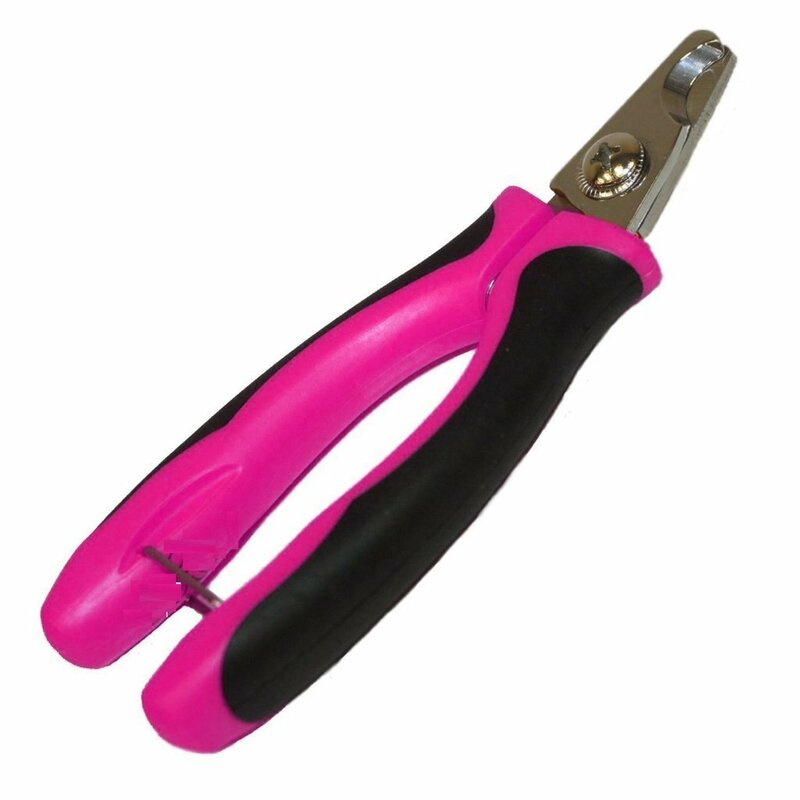 Manufacturers also promise a lifelong cutting and it comes with a good grip with its rubber handle. For those who are not used to clipping their cat’s nails yet, this is one of the best choices out there. This is totally user friendly. Pets did not fuss a lot with this clipper. Stable clippers with a clean cut. Hard to use for some. Some found this less useful than an electric file. 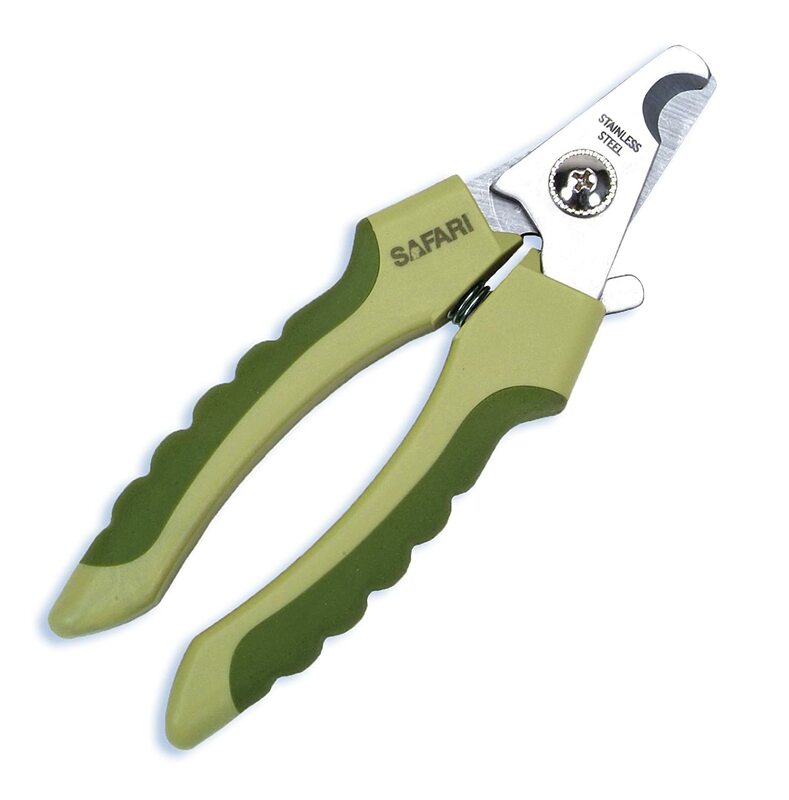 Designed for animals, this nail clipper can cut through hard nails easily. The ergonomic design promises to make pet grooming easy even for those who are doing it for the first time. The clipper is made from stainless steel and it could last for a long time. For those who are confused on the best way to use this tool, there are also instructions and tips on how to use this for pet grooming. Tool is sturdy enough and looks durable. The guard can get in the way. Handles may be a bit too large for some. Some were unable to get a clean cut. Deemed to be one of the most versatile nail clippers out there, Epica Pet Nail Clipper has a lot of positive reviews. Aside from that, there are some pet owners who buy this brand because of the good things they hear about it. This comes at such an affordable price and the quality is impressive, so it’s worthwhile to give it a try. Proper grooming is one of the things you need to do as a responsible pet owner. If you want to give nail trimming a go, be sure to look for the best cat nail clipper; don’t just settle for your personal nail clipper. I have read the post and really it is very much helpful as I have got to know about the cat nail clipper which will help you to trim your pet nails.